Events, Coops, Maps & Routes ! Congratulations – It is time to start planning your coop day fun! We highly recommend you review all of the coops and your tour options BEFORE coop day so you can select the tour(s) that best fit your cycling ability, available time and the coops your want to visit. Be sure to scroll all the way to bottom of the page to see all of the 150+ miles of route options to get you out to the coops and start making new chicken friends! Is there a coop in your future? – YES! First, we recommend you get a quick preview of the variety of coops, community gardens, and kid farming programs available this year on the tour by viewing the coop list summary by city below. There is something for everyone! 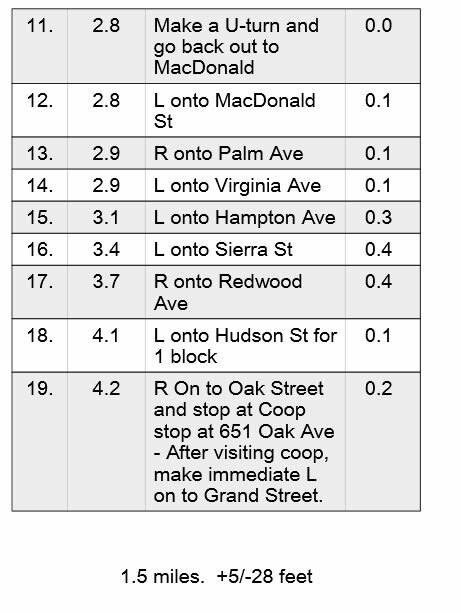 Coop List Summary – Click here to view a complete summary with pictures of individual coops by city. Please review our coop tour FAQ page if you have any questions about the tour. This page will hopefully answer all those questions like – I don’t have a bike.. can I drive and visit coops and many more questions. Post Coop Tour Events – This year we are offering two, post tour social events that start at 4 PM on Saturday afternoon. 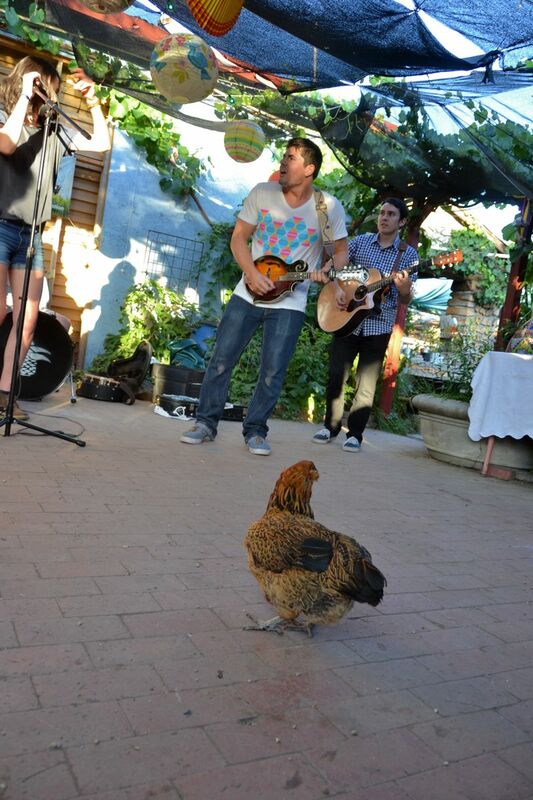 Re connect with your newly discovered chicken friends at one of our post tour social event! Middlebrook Gardens post tour potluck and make your own pizza event! This will be a fun, and casual potluck. Bring your favorite food item to share or put on your own pizza $2 donation! Coopsters from the tour have been invited to attend as well so you can reconnect with your favorite coopsters and ask more chicken questions! At this post coop tour event, fun members of the SSL will fire up the mud pizza oven and cook pizzas for those wishing to socialize and learn more about the SSL adventure going on in East Palo Alto! This year we have 40+ coops from San Mateo to San Jose. If you want to navigate the coops only using Google maps with individual coops, click on the image below and save that webpage on your phone! This year we are offering several routes to serve a variety of coop tourists cycling abilities from family friendly to the serious coop metric century (100K) event. That’s a lot of mileage and coops too! Each route has information provided in a few formats. The most valuable navigational document is the cue sheet. Included with each tour is a CUE sheet marking every right/left turn. Please review the Coop Route Navigational Options page for more details on how to use the various formats. Click on each route to see the individual route details and maps and cue sheets. Redwood City Loop – 3 coops – 6.6 miles – Starts at RWC Cal Train station – includes various park. East Palo Alto,Menlo Park, and Northern PA Loop – This 12 mile coop loop has 8 coops. It includes backyard coops and community gardens in East PA. It cross HWY 101 on two different bike bridges that go over 101 to avoid busy overpasses. It has 2 coop stops with Ducks! 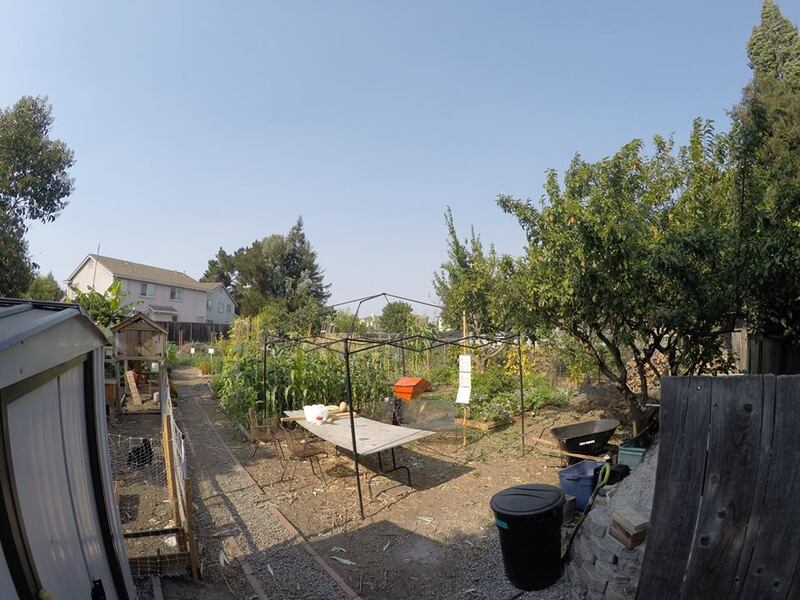 Sunnyvale and Los Altos Loop – This 18 mile, 5 coop loop offers some back yard coops and two community garden projects (Charles Street Garden and Full Circle Farms). Sunyvale, and Santa Clara – This 4.4 mile loop includes 3 coops. It starts at Full Circle Farms in Sunnyvale. Rose Garden and Central San Jose Loop -This 13 mile coop loop has 5 coop stops including the Garden2Table Community Garden and the Middlebrook garden. Los Gatos Area coop Tour – 13 miles and 5 coops – This tour starts at Visona Lake and uses the Los Gatos Creek trail. This loop has some elevation to climb to get into the hills! South San Jose Loop – This 19 mile loop has 5 coops and bikes along the Guadalupe River Trails for a few miles. More Serious Cyclist Routes – These longer routes are designed for proficient cyclists who are comfortable riding on longer rides, climbing hills and sharing roads with motorists on expressways. Due to our limited time and resources to design our coop loops, these longer rides may require some navigating on your own if the map or cue sheet is not perfect. Tour De Coop Metric Century – 62 miles of clucking coop fun! This is mainly a 100K bike ride with all of the penisula favorites for experienced and faster cyclists of biking with 5 coops. 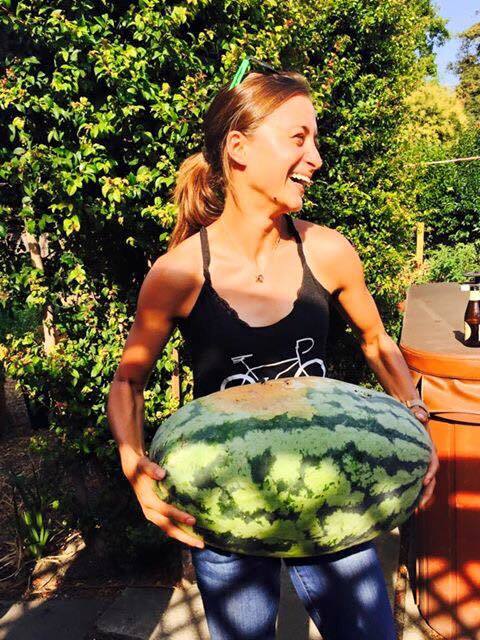 It includes favorite biking destinations of foothill expressway, bryant bicycle boulevard, stevens creek trail, Canada Rd, Woodside, portola Valley, and numerous hidden bicycle bridges to run you up and down the Silicon Valley.